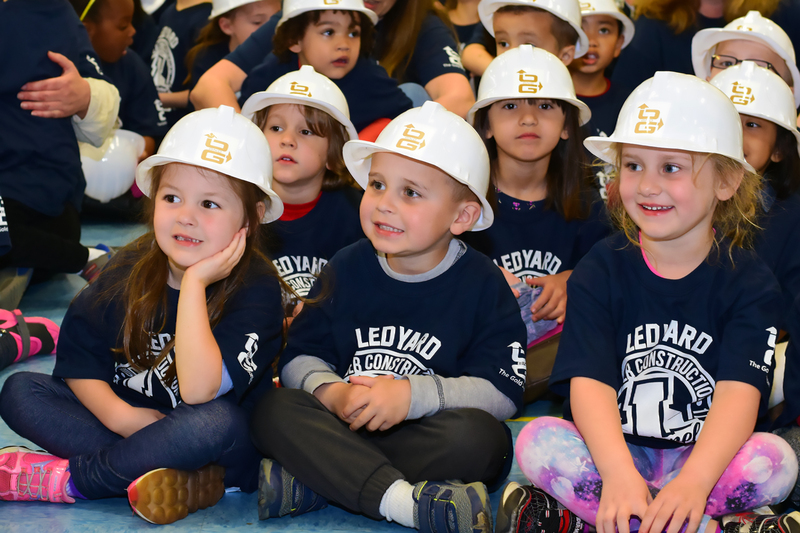 O&G Industries, Connecticut’s largest privately-held construction company and the State’s top school construction manager, broke ground on two expansion and renovation projects in Ledyard, Connecticut – Gallup Hill School and Ledyard Middle School. O&G is the Construction Manager for the $28.6 Million expansion and renovation project at Gallup Hill School and the $35.6 Million expansion and renovation of Ledyard Middle School. Construction at Gallup Hill School will expand the facility from 44,000 sf to 75,000 sf with a focus on increasing the School’s capacity. At Ledyard Middle School, construction will expand the facility from 75,000 sf to 91,000 sf. Once completed, the renovated-to-new facilities will allow the Gallup Hill School to serve nearly 650 students in grades Pre-K through 5th and the Ledyard Middle School to serve over 550 6th to 8th graders, consolidating the District’s 6th grade into a single facility. Silver/Petrucelli + Associates joins O&G as the Project Architect.